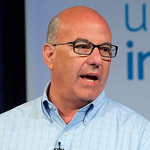 Jeff Hoffman is a successful entrepreneur, proven CEO, worldwide motivational speaker, published author, Hollywood film producer, and a producer of a Grammy winning jazz album. In his career, he has been the founder of multiple startups, he has been the CEO of both public and private companies, and he has served as a senior executive in many capacities. Jeff has been part of a number of well-known companies, including Priceline.com. uBid.com, CTI, ColorJar, and more. Today he is Managing Partner of Legend52, an investment fund created to buy professional sports teams, as well as invest in technology and entertainment. Jeff serves on the boards of companies in the US, Europe, South America, Africa, and Asia. He supports entrepreneurs and small businesses on a worldwide basis, serving on the boards of The Unreasonable Group, the global board of directors of the Global Entrepreneurship Network (supporting entrepreneurship in over 170 countries), the US State Department’s GIST program (Global Innovation through Science and Technology, working in 49 emerging nations), the APEC Startup Initiative (the Asia Pacific Economic Council’s 21-member nation association), and many others. He supports the White House, the State Department, the United Nations, and similar organizations internationally on economic growth initiatives and entrepreneurship programs. Jeff is a frequent keynote speaker, having been invited to speak in over 50 countries. He speaks on the topics of innovation, entrepreneurship, and business leadership, and is the author of the book SCALE, a how-to guide for growing your business. Jeff also teaches innovation workshops to major corporations on a regular basis. Jeff is a featured business expert seen on Fox News, Fox Business, CNN, CNN International, Bloomberg News, CNBC, ABC, and NPR, and in publications including Forbes, Inc., Time, Fast Company, the Wall Street Journal, and more. In 2015 Jeff was honored with the Best of the Best Award from the national CEO association (Collegiate Entrepreneurship Organization) as well as receiving a Lifetime Achievement Award and being inducted into the Entrepreneurs Hall of Fame for his contributions to the field of entrepreneurship. He also received the Champion of Entrepreneurship Award from JP Morgan Chase, Citibank, and Rising Tide Capital, as well as receiving the George Brown Award for International Cooperation. Outside of the world of technology, Jeff has produced movies in Hollywood, has produced musical events including concerts, tours, and charity events with such artists as Elton John, Britney Spears, NSYNC, and others, and serves on numerous charity and non-profit boards. Corey’s been in the field of digital marketing for over 15 years. He started his career with the eCommerce division of General Motors, and after a successful book launch, started speaking and consulting in 2009. Since then, he’s spoken and consulted for brands such as Sysco Foods, Dale Carnegie Training, Cox Media, Dallas Cowboys, and more. He offers keynote presentations and hands-on workshops on topics including LinkedIn, Facebook, Instagram and Content Marketing. Jeff will be sharing “The Art and Science of Innovation” as a featured Keynote Speaker at the NARPM® 2019 Broker/Owner Conference & Expo that runs from February 25-27, 2019 at the Mirage Hotel and Casino in Las Vegas.